Welcome home to this spacious 4 bedroom Conway pool home only steps from Lake Conway and with deeded access to the lake and a private boat ramp. Enter through double front doors with leaded glass into an open foyer with penny copper ceiling. The bright formal living room features crown molding and custom plantation shutters, perfect for entertaining or enjoying morning coffee. Continuing to the formal dining room, enjoy patio and pool views through French doors leading to the screened patio. The kitchen opens up into a bonus family room and includes a custom brick-look backsplash, hardwood floors, paneled dishwasher, french door refrigerator and garden window. The family room is a perfect casual gathering space, centered around a wood burning fireplace, with mantle and stone facade. A second set of french doors leads onto a sprawling screened in back porch with a natural wood beam and plank ceiling plus Mexican Saltillo tile floor that epitomizes the Florida lifestyle. The backyard is a fully-fenced tropical paradise with an oversized swimming pool and lush lawn flanked by mature queen palms and exotic landscaping. A bright Master Suite with ensuite bath and access to the pool, plus three additional spacious bedrooms and second bathroom completes this move-in ready Lake Conway Woods home with a BRAND NEW ROOF put on Oct. 2018. 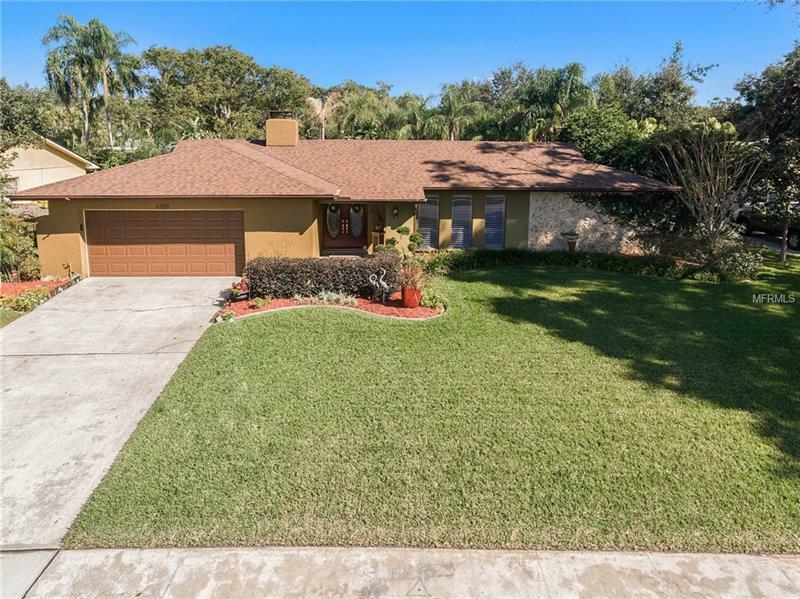 This home is zoned for A-rated Boone High School and conveniently located close to Downtown Orlando and the Intl. Airport. Community amenities include a playground and sandy beach.